If you want to hook fish, it’s important to know how to work from the poling platform. 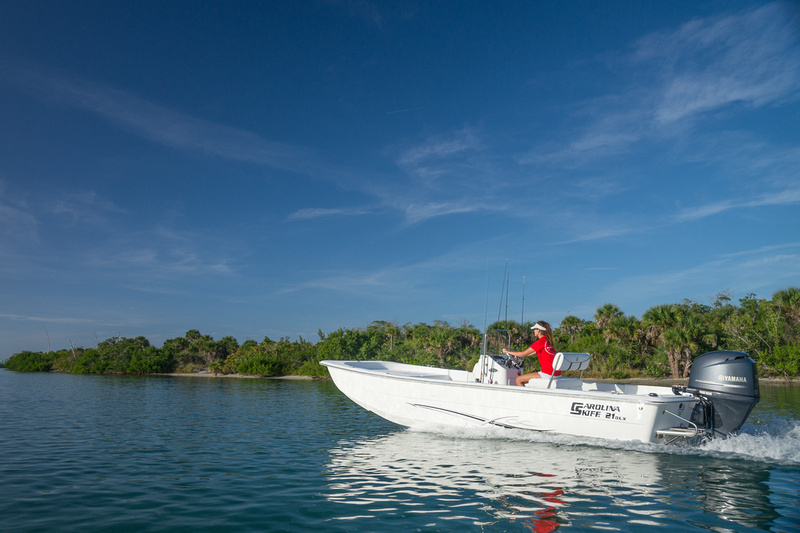 Ellie eased off the throttle on the 55-hp tiller steered outboard and glided the 16-foot skiff onto the flats. With the engine shut down, he unclipped the Stiffy pushpole, stepped up to the platform, and began poling the skiff along a flat skirting a mangrove island. 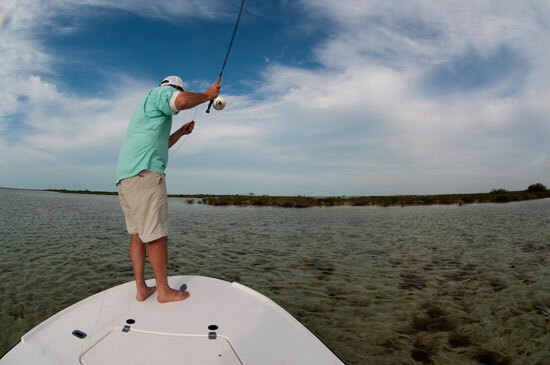 He made it seem effortless as the skiff silently glided parallel shore in search of bonefish. He came upon a school and stopped and turned the boat in perfect position for the angler to make a cast. The angler watched the bonefish chase and take his fly, then turned to smile at Ellie in gratitude. 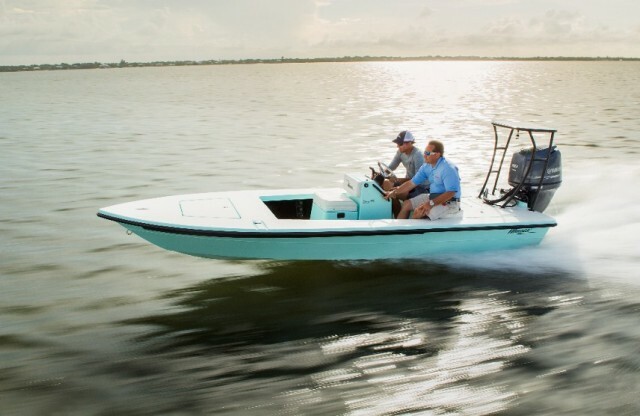 Taking a trip to Andros South and watching a professional guide like Ellie work a skiff on the flats, it’s tempting to think to yourself, “I can do this.” You envision purchasing a skiff and taking turns with your friends poling and casting off the bow deck. The next thing you know you’re poling the skiff in circles while your friend keeps hooking you in the head with his back casts. Working a flats skiff is a team sport, and it’s important to know how to work from the poling platform to ensure you hook fish. Culled from watching Ellie and other expert flats guides, here are seven keys to successfully working a flats skiff. Sound travels four to five times faster in water than it does in air. 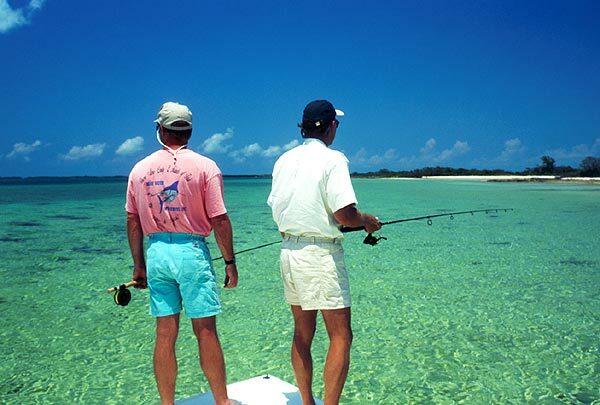 Fish moving onto the flats to feed are especially wary as they are more vulnerable to predation from birds and roaming sharks. They are particularly attuned to any unnatural sounds projecting across the flats. Keep conversation to a whisper, try to minimize movement, avoid opening and closing hatches, and be very careful with how you work the push pole. A veteran like Ellie can place the pole in the water and push the boat forward perfectly straight without making a sound. That takes practice. Most poles are built with a sharp “stake” end and a wide “foot” end. To get your boat to track straight, gently place the foot end of the pole right behind the engine, which should be tilted out of the water. Work the pole by pushing hand over hand down the pole until the boat starts its forward motion. Don’t extend the pole back too far or you’ll lose your balance and make a splash retrieving it. Gently lift the foot out of the water, slide the pole forward in your hands and repeat the process. 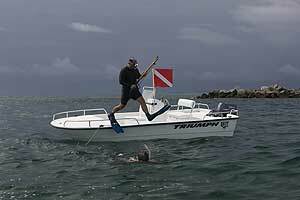 Some guides advocate using the stake end when poling over hard bottom such as oyster beds or coral, because it makes less noise. Conversely, use the foot end of the pole on muddy bottom or marl because it’s less likely to sink in and stick. Think of your pole as a lever turning your boat, with the transom as the fulcrum. To point the bow left, position the pole’s foot just left of the outboard and push. 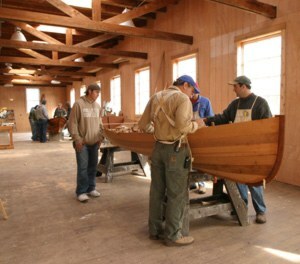 The boat will pivot on its keel and point the bow to the left. Push too hard and it will swing wide. Once you have the bow positioned where you want it, resume pushing straight behind the boat. --Stopping. To stop the boat, place the foot into the water, and instead of pushing down the pole hand-over-hand, pull the boat back to you. Ideally, you’d like to position to bow at a slight angle to the fish to give the angler room to back cast--especially in fly fishing. Otherwise, you could have a new piercing to show off. Position the angler so that his shadow does not spook the fish as he casts. If possible, keep the sun at your back. It’s easier to spot fish without the sun shining directly on your face, and easier to deal with the glare coming off the water. 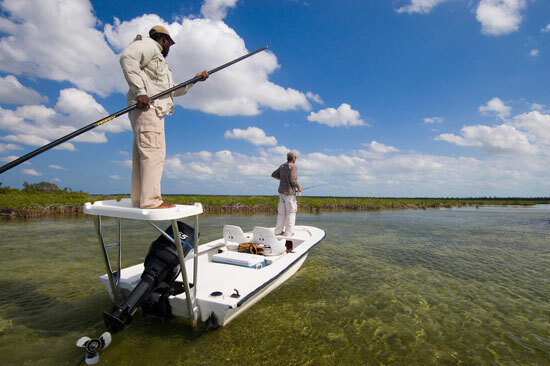 When approaching fish by boat, keep in mind the length of your shadows if they are projecting in front of the boat. Position the angler so that his shadow does not spook the fish as he casts. Crouch down if you have to. Of, course, wind and current are game changers and you’ll have to do your best to work with the conditions thrown your way. But learn these basics and, while you may not be a fish-finding master like Ellie, you’ll be able to put your friends in front of fish instead moving the boat in figure-eights all day.